Sales & Service You Can Trust! We’re a top-of-the-line auto service facility that also specializes in auto sales. You’ll find exactly what you’re looking for at Suburban Wrench. 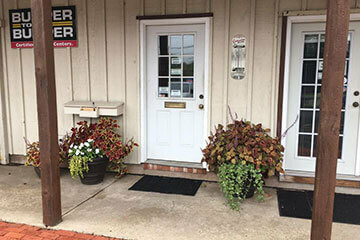 We’ve been the local standard bearer for excellence in auto service and sales since we opened our doors in 1982. Our team of experts provides repairs and maintenance services for all makes and models, and have a special focus on all Asian imports. Customers can also receive a 2 Year / 24,000 Mile Warranty on all Bumper to Bumper products. We separate ourselves from our competition with specialized services. Our team uses all synthetic motor oils for your oil change services. Other repair shops will overcharge you for the best quality, but our shop makes giving your vehicle the best our standard. We stand behind our auto repair services with a guarantee of 1 Year / 12,000 Mile warranty on all parts and labor. You have nothing to worry about when you come to our shop. Our experience and our equipment puts you and your vehicle in the best condition possible. Our shop wants to make receiving auto service as easy as possible. You can pay for your vehicle’s repairs with financing options. Fill out an easy credit application for quick approval and you’re able to make payments on a schedule that’s more convenient for you. We also make your auto service experience as easy as possible with loaner cars and shuttle services. Visit our shop and meet our auto sales and service experts. Either way you can be driving away in a fully-enhanced vehicle. We’ve been providing total car care for decades. Our reputation for top-notch services keeps our customers loyal. Those customers who find their latest vehicle from our lot of pre-owned vehicles can also depend on our continued quality auto service. Come To Suburban Wrench For Expertise! We always want customers to know that we have their back for all of their auto service needs. Our friendly professionals are here to answer any questions or concerns that you have about your vehicle’s performance. You can also inquire about our inventory of top quality pre-owned vehicles. Our customers keep coming to us because we have options in auto sales and a team of ASE Certified techs to provide auto services for all makes and models. Give us a call at 609-737-1235 to schedule an appointment. Or just stop by our shop at your earliest convenience to meet our friendly experts. You’re in good hands for quality auto service and auto sales.